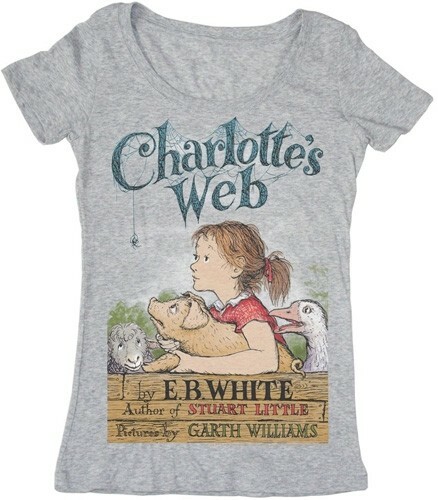 Out Of Print clothing presents this beautiful t-shirt featuring cover art from Charlotte's Web. 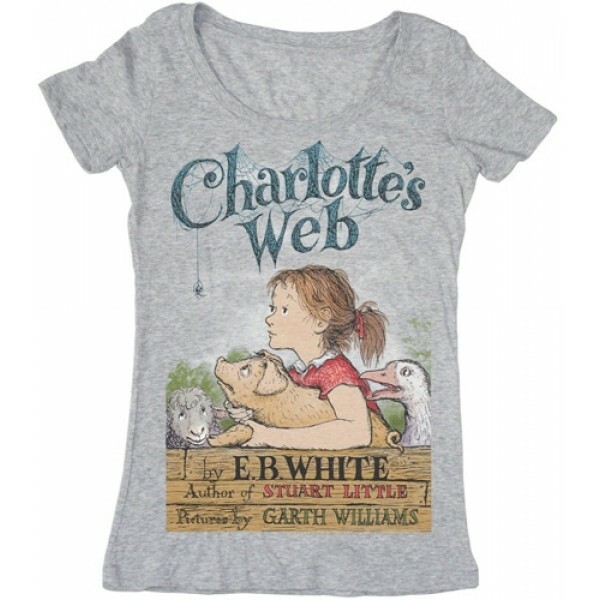 As part of their charitable outreach, each shirt purchased is matched with a donation of one book to a community in need. Available in women's sizes small (US size 4 - 6) to extra-large (US size 16 - 18). 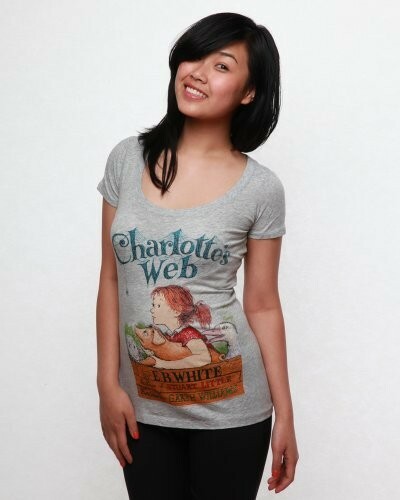 For more literary-inspired shirts, visit our Literary Themed Clothing section.